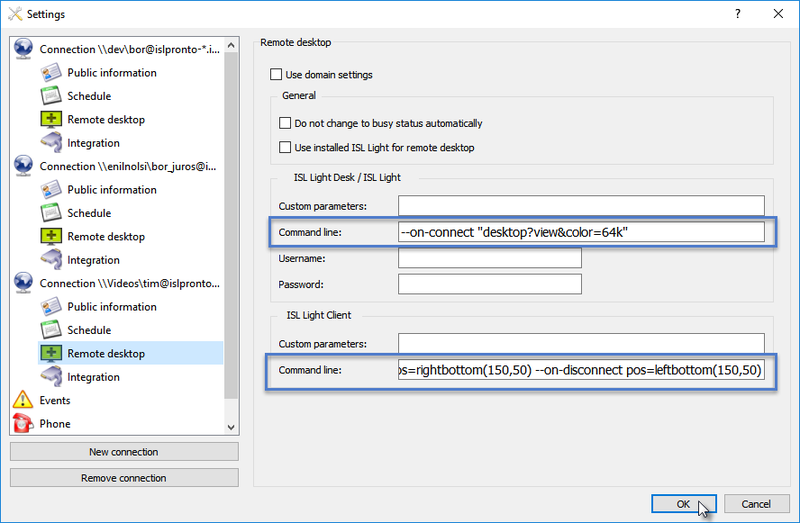 Click "Remote Desktop" button to start remote desktop. After client runs the link, you can view the visitor’s desktop or invite a visitor to temporarily view their desktop. 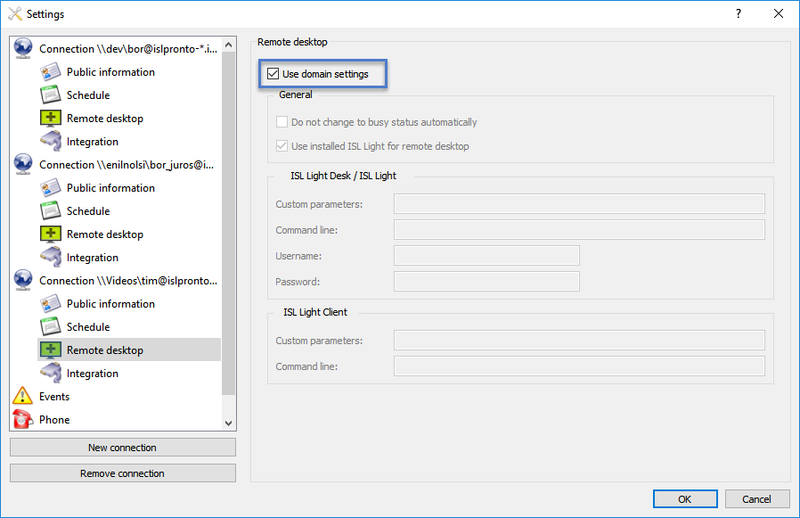 ISL Light and ISL Light Client support a variety of parameters and settings in order to change their behavior and can be accessed trough Settings. Below is some examples of what is possible. 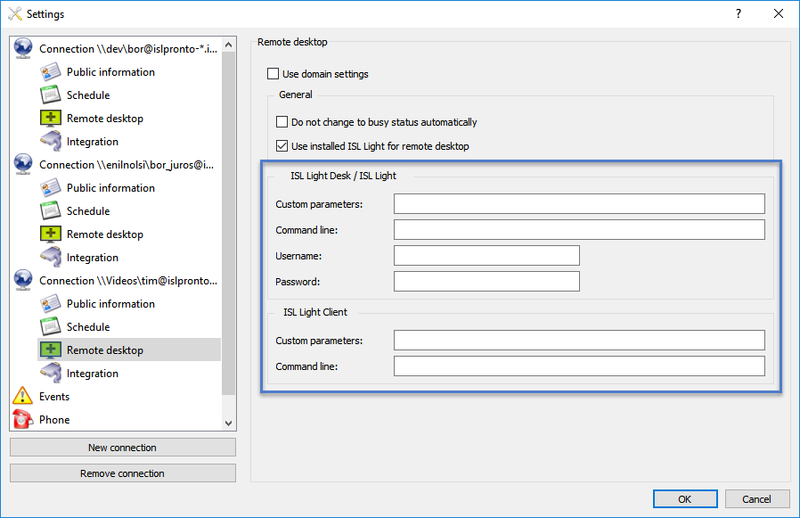 Enter the username and password of another ISL Online user. 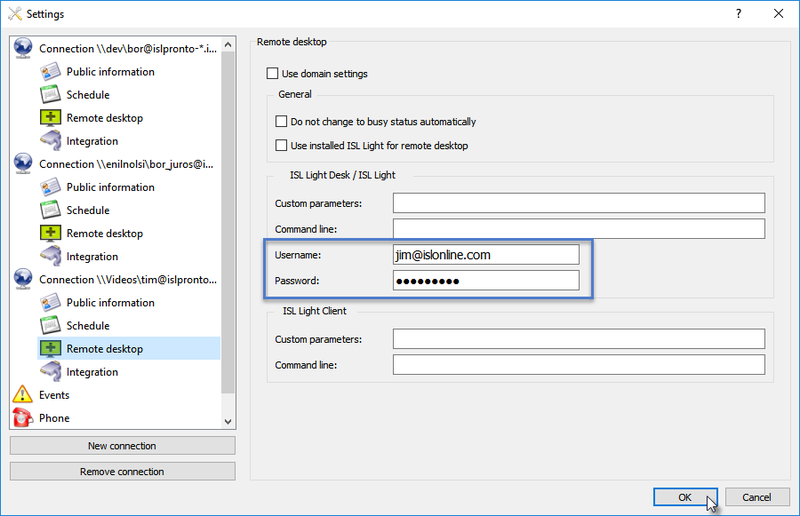 When remote session is started it is established under the specified account. In our case we are using ISL Pronto with account: tim@islonline.com, however session is established with jim@islonline.com account. Enter the desired command line arguments to be passed to ISL Light and ISL Light client. Commands are described in detail here: Command line arguments. In our case we instruct ISL Light that we want to see the remote screen immediately and in highest quality. 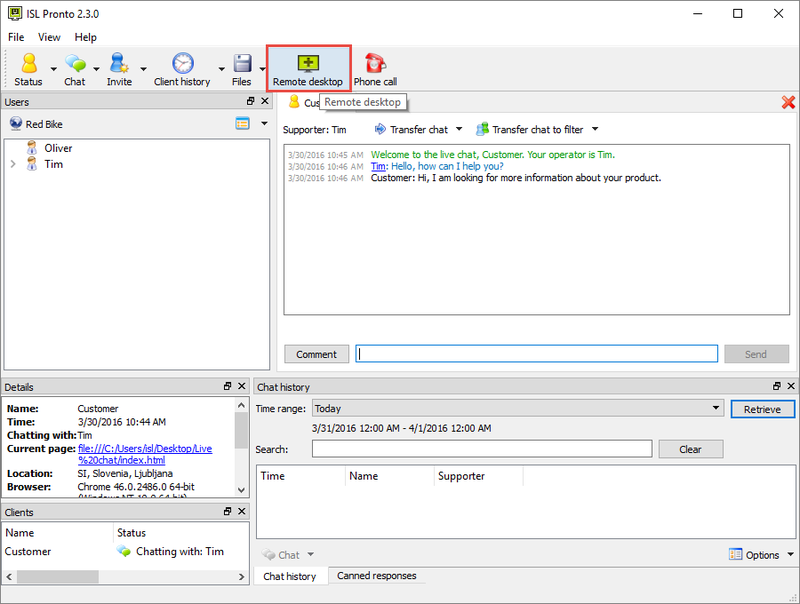 On the other side we instruct ISL Light Client to move the window to a different position on screen on certain events: when session starts, when session ends, etc.